Burj Al-Luqluq Social Center Society organized in cooperation with the British Consulate General in Jerusalem a training basketball game between Burj Al-Luqluq and the BCG’s female basketball teams on Thursday, 07\12\2016, in the YMCA basketball court, with the presence of the BCG trainer Issa Qseisiyeh and Burj Al-Luqluq trainer Fares Abu Sneineh. 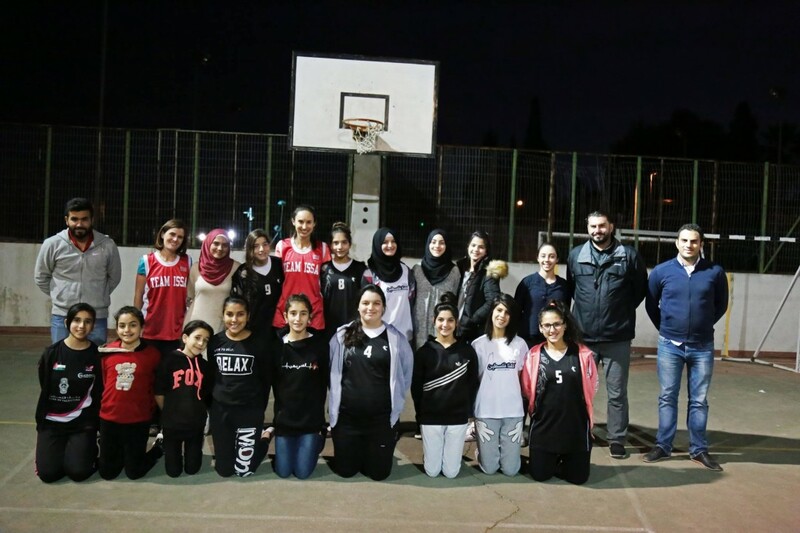 The trainer Qseisiyeh assured that the main aim of this training is the communication and the interaction between the Jerusalemite girls from both teams. He added that it was a motivational training for Burj Al-Luqluq basketball players as they need to interact with other teams in order to improve their performance. Burj Al-Luqluq Executive Manager, Muntaser Edkaidek, expressed on his behalf the special relations between Burj Al-Luqluq and the BCG as it is considered as a joint relation that aims to support the Jerusalemite youth under the difficult circumstances in Jerusalem.